At age 6, Cameron Perry began playing a video game that featured a world undergoing industrialization. The consequences were environmental degradation and the exploitation of labor. Perry didn’t understand the themes at the time. He was more concerned with helping his character escape a meat packing plant and join a band of revolutionaries. Over time, the game’s motif started to sink in. 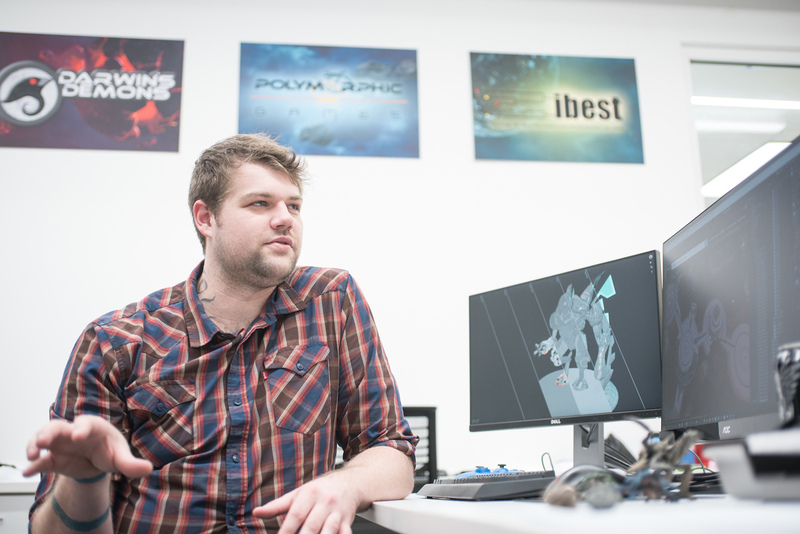 Perry worked for Polymorphic Games at U of I and created animations for Project Hastur, a video game where users try to protect humanity from invading aliens that evolve in response to users’ defenses. He also worked for the university’s Institute for Bioinformatics and Evolutionary Studies, designing a mobile app prototype to teach kids about snail biology, evolution and conservation. A native of Boise and Bonners Ferry, Perry, 26, already has a job lined up creating virtual reality environments as a more engaging and less costly aid for workplace training.